If you are looking to learn and little more about the new Samsung SideSync application which Samsung during the Windows ATIV branding announcement. You will be pleased to learn that moire details demonstrating the Samsung SideSync app functions, which has been created to enable you to use your PC’s keyboard and mouse with your smartphone. 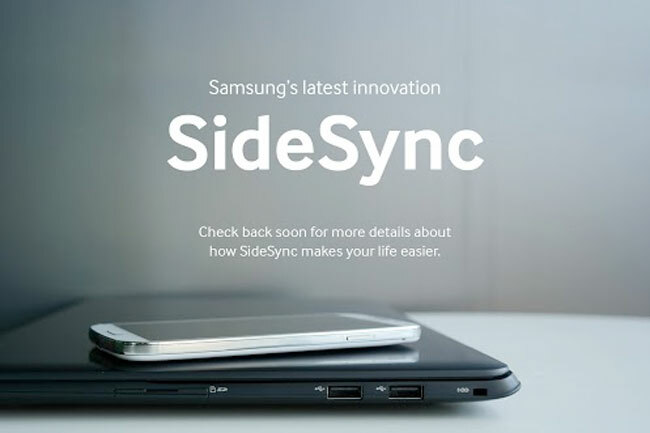 Watch the video after the jump to learn more about the Samsung SideSync project and see it in action. Other features of the Samsung SideSync app include the ability to copy text from the PC and directly pasting it in the phone, as well as allowing users to use their smartphone virtually on their PC. Samsung SideSync works by installing a SideSync app on to your Galaxy smart phone which then communicates with the pre-loaded Windows app on the ATIV device. You can download Samsung SideSync from the Samsung Apps website now.